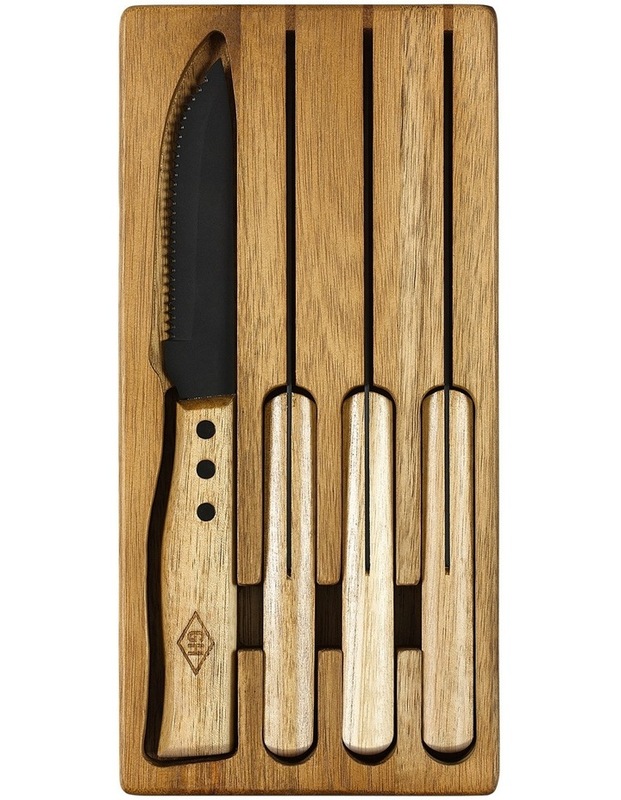 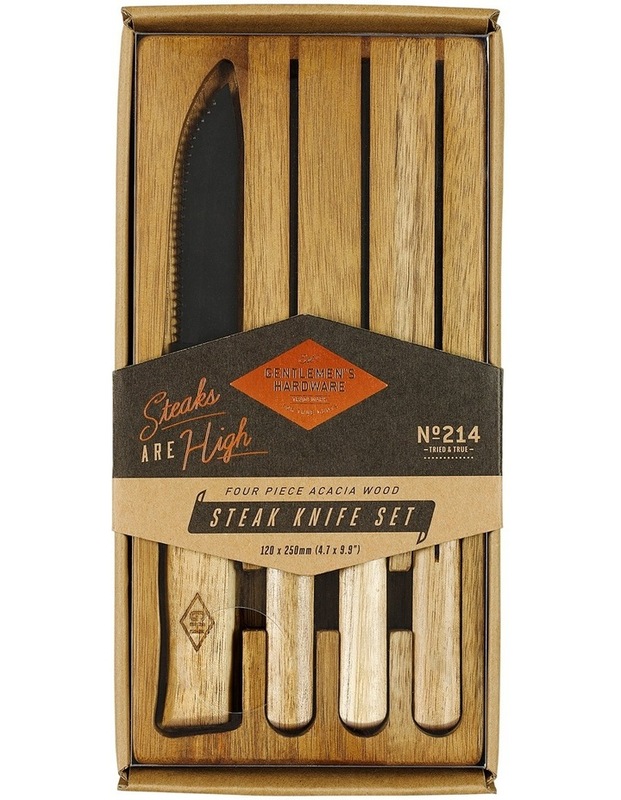 Ensure effortless cutting through all types of meat with this rustic steak knives set from gentlemen's hardware. 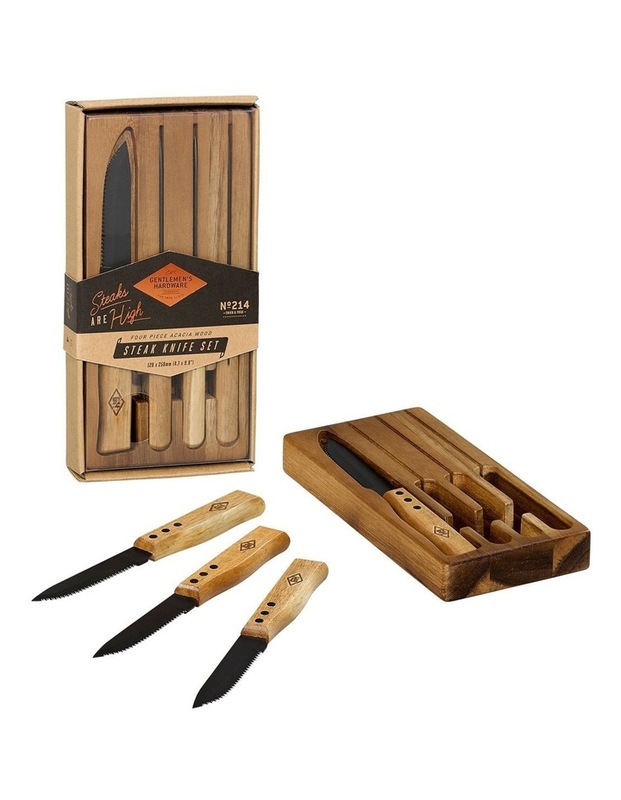 The stainless steel set of four are each triple riveted with serrated edges to provide the finest possible cutting edge, and feature hard-wearing acacia wood handles. 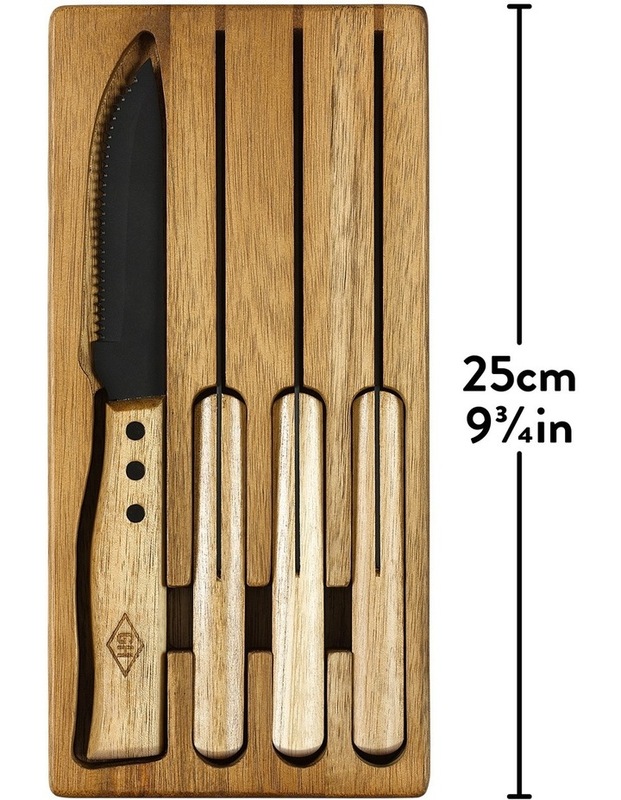 Presented in a sturdy acacia case with individual slots for each knife, they make a statement on and off the table and a would be a great gift for any foodie friend.box size: 250 x 120 x 30mm.